New Service Offering :: Gift of Happiness! I hope your 2015 is off to a good start. I had very nice holidays and am feeling energized for another year full of adventures in creativity! Many of you know that I’m pursuing my dream of making a living doing what I love, i.e. being an illustrator, while working at my non-profit day job. This year, my goal is to “do more.” I tend to be a “planning” person and prefer to know what to expect and the details before I act on something. It’s not necessarily a bad thing, but it can sometimes keep me from “doing” it. Doing nothing may feel “safe,” but it would not help me achieve my goal. Last spring, I started my 365 day happiness drawing challenge to practice art and putting myself out there every day. I will continue the practice until I hit the 365 day mark! I also wanted to have a new project which will challenge me to grow in different ways. As I mentioned in my blog post before the New Year, I’m launching a new subscription service this year!! 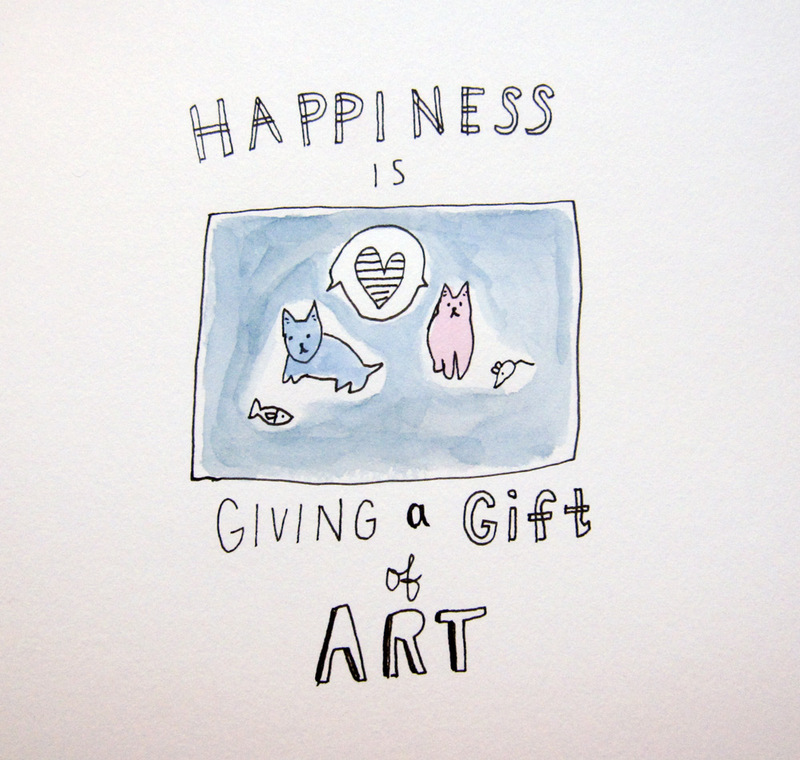 I’m calling it a “Gift of Happiness.” It is available to purchase now on my Etsy store! Here is FAQ on this new offering! Q: What is Gift of Happiness subscription? A: It is a year-long subscription to receive something from me every month from January through December 2015. A: All kinds of things! 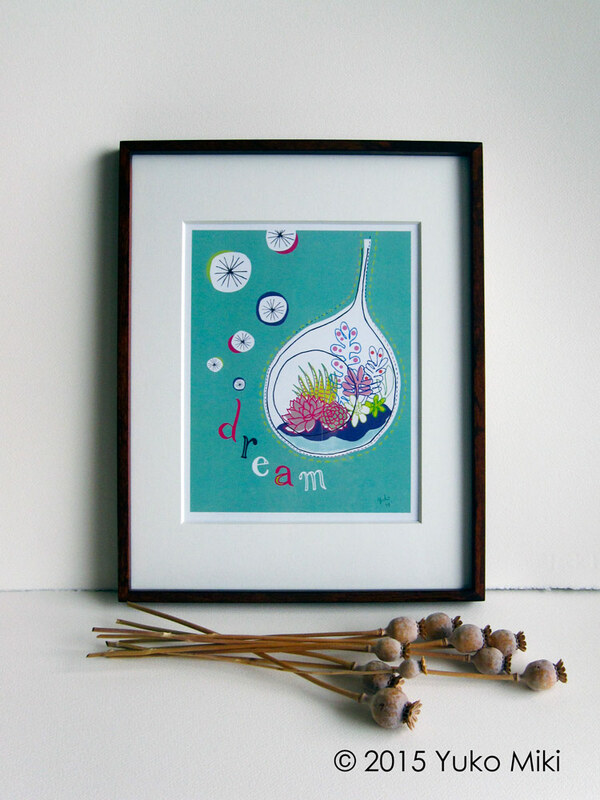 It could be my art prints, a pack of greeting cards, a pretty tea towel, a mug, an original drawing, etc. I would also love to send you a personalized postcard or a note when I’m traveling! I don’t have a specific plan yet because it also depends on what I’m inspired to create throughout the year. Q: What benefits do I get by subscribing to this service? Q: Can I sign up after January? A: Yes, as long as there is a spot open! If you subscribe later, you will receive past months’ items, or equivalent, grouped with your first month’s shipping. Q: How many spots are available for 2015? A: Because of the personalized nature of this service, I’m limiting this service to 20 spots this year. Q: What if I really like what I get and want to order more? A: Most of the items will be available to purchase individually on my Etsy shop! Q: How much is the 12-month subscription? A: $215 for a 12-month subscription including free US shipping! It is also available to ship overseas with additional shipping fee. 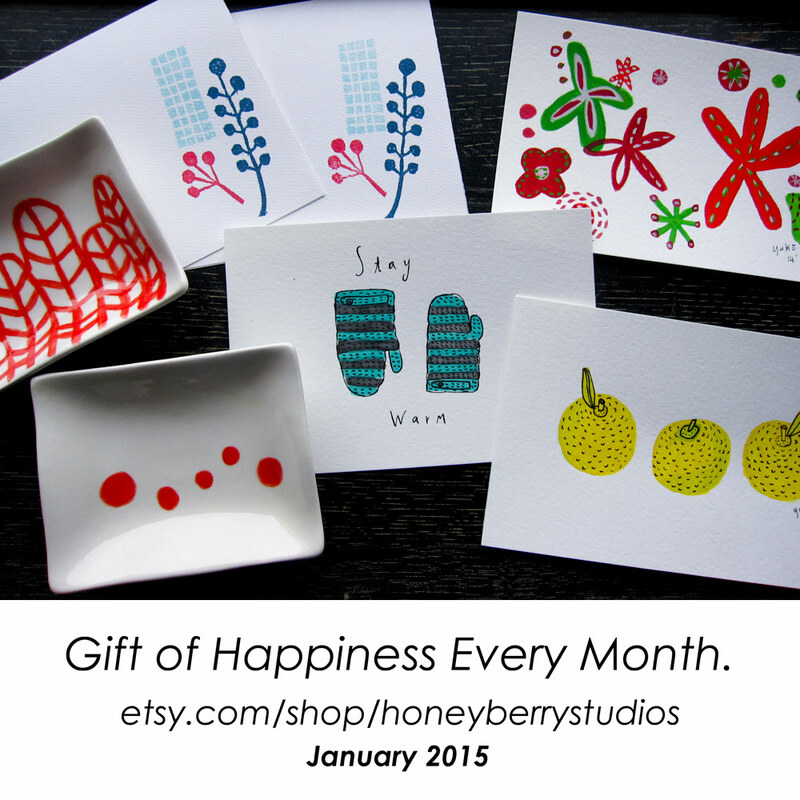 You will receive a thank you gift if you purchase by Friday January 9, 2015! *I’m also offering a limited number of bi-monthly subscription (Jan, Mar, May, Jul, Sept, Nov) for $120. Please see the listing here. Q. Can I purchase the subscription as a gift? A: Absolutely! Please add a note when you purchase the subscription and let me know their name and shipping address. Looking forward to connecting with you more in the coming year!